This book examines Winston Churchill’s role in the creation and development of the Anglo–American special relationship. 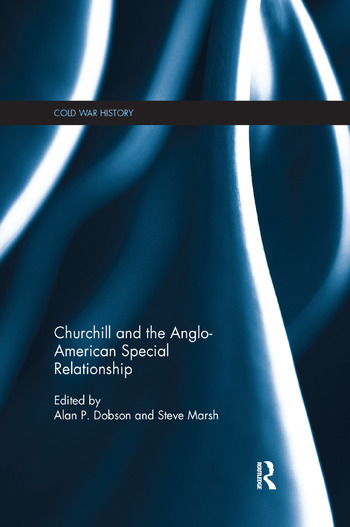 Drawing together world leading and emergent scholars, this volume offers a critical celebration of Churchill’s contribution to establishing the Anglo–American special relationship. Marking the seventieth anniversary of Churchill’s pronouncement in 1946 of that special relationship in his famous Iron Curtain speech, the book provides new insights into old debates by drawing upon approaches and disciplines that have hitherto been marginalised or neglected. The book foregrounds agency, culture, values, ideas and the construction and representation of special Anglo–American relations, past and present. The volume covers two main themes. Firstly, it identifies key influences upon Churchill as he developed his political career, especially processes and patterns of Anglo–American convergence prior to and during World War Two. Second, it provides insights into how Churchill sought to promote a post-war Anglo–American special relationship, how he discursively constructed it and how he has remained central to that narrative to the present day. From this analysis emerges new understanding of the raw material from which Churchill conjured special UK–US relations and of how his conceptualisation of that special relationship has been shaped and re-shaped in the decades after 1946. This book will be of much interest to students of Anglo–American relations, Cold War Studies, foreign policy, international history and IR in general. Alan P. Dobson is an Honorary Professor at Swansea University, UK, and author of Franklin D. Roosevelt and Civil Aviation 1933-1945 (2011). Steve Marsh is Reader in International Relations at Cardiff University, UK and editor of Anglo-American Relations: Contemporary Perspectives (2013, with Alan P. Dobson).